For students who worry that they may not be able to afford to attend college, Pell Grants provide a possible solution, or at least a partial solution. Pell Grants are part of the federal financial aid program, which is run by the U.S. Department of Education. 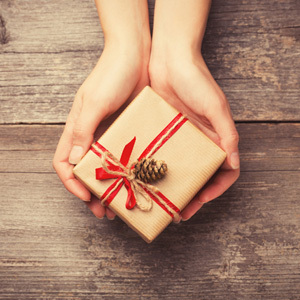 The nice thing about grants is that they are more like a gift, you do not need to pay them back which makes them much more appealing than student loans. The term “financial aid” covers a wide variety of different programs. Some of funded by state governments; others by the federal government; still others are privately funded. Financial aid can come in the form of student loans -which have to be repaid at some point- or grants, which do not have to be repaid. There are also scholarships, which may cover part or all of your tuition. There is a good argument to be made that grants should be your first priority when seeking financial aid. Unlike loans, you don’t have to pay them back And, while you should also look into possible scholarships, these usually require you to fulfill some very specific conditions, which may relate to your ethnic background, field of study or academic record. Grants, especially federal Pell Grants, are more straightforward. As for eligibility, the answer depends on your, or your family’s, financial situation. Pell Grants are need based. Need is determined by the Dept. of Education, and the specific criteria may change from year to year, so you should find out by contacting that agency. For general information, you can call them at (800) USA-LEARN. You can also find information by contacting the financial aid department of the college you want to attend. In general, Pell Grants are designed to help undergraduate students who are in a state of financial need, and whose families are not in a position to offer much assistance in paying the cost of attending college. Some 5,000 colleges and universities are eligible to participate in this program. There are also some opportunities for graduate students to receive Pell Grants. You can also receive a Pell Grant if you attend college part time, though the amount will be less. Pell Grants will probably not be enough to cover all of your academic expenses, especially if you calculate living costs . However, they can make a significant dent in your overall expenses. Most students are able to supplement Pell Grants with other forms of financial aid, such as loans. If you work part time as well, you should be able to make your education affordable by combining these resources. While student loans are tempting because they are relatively easy to get, and often offer attractive conditions (such as not having to pay interest while attending school), don’t forget that it may take years to repay them. Pell Grants, and other grants and scholarships can help reduce the amount of money you have to borrow and help make your financial future more secure. 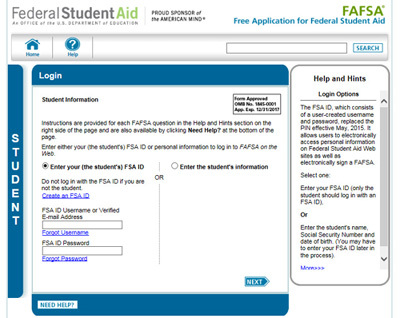 In order to qualify for any government grant, you first need to fill out the Free Application for Federal Student Aid (FAFSA). Every student who qualifies for financial assistance based on the FAFSA will automatically be considered for any available federal education grants. Before you begin looking for any type of financial aid, it is important that you fill out the form, which you can complete and submit online. The following list includes the different types of grants. The Pell Grant is the most commonly awarded federal education grant; it is awarded to millions of low-income students each year who are enrolled in two- or four-year degree programs. The amount of your Pell grant award depends on several criteria, including the amount your family is able to contribute to your education costs, your enrollment status, and the cost of attendance at your institution. The FSEOG is a campus-based grant program which is intended to supplement the Pell Grant for the lowest income recipients. The amount of the award is based partly on the amount of your Pell Grant award, the amount of any additional grants and scholarships, and the cost of attendance at your college or university. Because the grant is funded by your institution, funds are limited, so it is best to apply as early as possible. This grant is awarded to lower-income students in their first or second year of college who are enrolled in an academically rigorous program. The grant is based on a combination of financial need and merit; students who receive the grant must be able to maintain a GPA of 3.0 or higher. This award is given to low-income students in the third or fourth year of their degree program. Recipients must exhibit academic excellence as well as financial need, and they must be majoring in an approved SMART program.